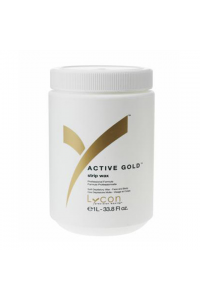 Glows like gold and removes hair effectively, gently and quickly. 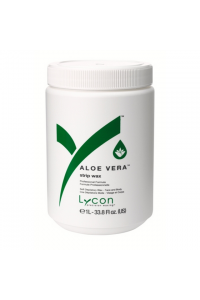 Contains the soothing benefits of..
With the beneficial properties of soothing and cooling Aloe Vera. Exceptional grip, yet leaves skin..
With Lemon Tea Tree, Arnica and CalendulaAnti Bump Foaming Gel is highly effective in minimising th..
LYCON’s original and legendary, ultra gentle and super strong, hot wax formula with Apricot ..
One of LYCON's leading performers. 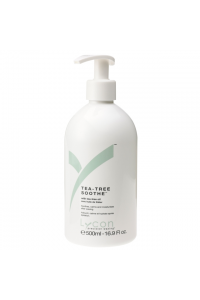 Containing Apricot Kernel Oil and Chamomile, it ensures tot..
Increases the circulation and facilitates the absorption of ingredients. Plumps, firms, lifts and ..
Increase client comfort with the soothing and extra gentle benefits of Azulene, a Chamomile plant e.. 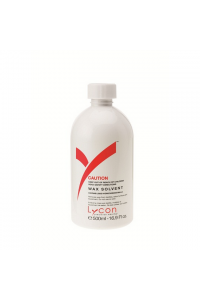 Exotic red with calming Chamomile and Rose. Excellent for all waxing and fabulous for Brazilians!th..
A break through spray formula for the face and body. 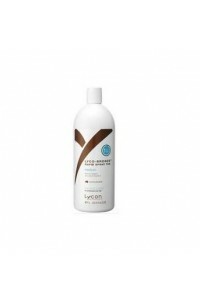 It mildly exfoliates, decongests and helps mi..
Ingrown.X.It cream Lycon Spa 30g..
NEW LYCO-BRONZE Rapid Spray Tan, with the latest designer tan technology, achieves a beautiful, n..
Super creamy and flexible with LYCON’s latest and unique Titanium Dioxide technology and Vanil..
Super creamy, vanilla scented and ultra gentle with LYCON’s latest and unique Titanium Dioxid.. 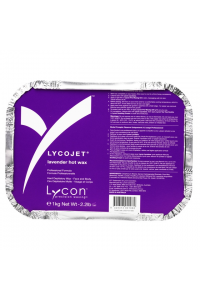 Majestic purple with the soothing properties of Lavender and Chamomile. 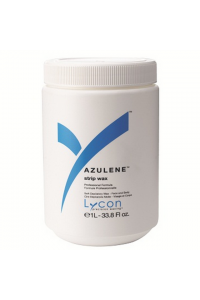 Excellent for all waxing and..
Lycotane Skin Cleanserwith Jasmine and ChamomileThis light, refreshing cleanser is used before all ..
A new generation, high-tech, ultra flexible and strong white wax. 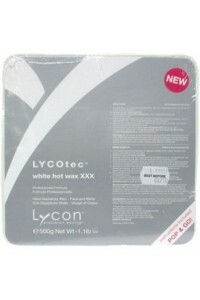 Contains Coconut Oil and LYCON’s l..
A high-tech, smooth, creamy and extra gentle white wax. A new flexible texture glides on ultra th..
Made especially for men! Formulated with LYCON’s latest and unique Titanium Dioxide technology..
Made especially for men! Smooth and gentle with Chamomile, Australian Sandalwood and Micro Mica to ..
Soft depilatory wax for face and bodyColour - brown..
with Apricot, Sweet Almond and LavenderThis post-wax oil removes sticky wax residue after strip wax..
LYCON's unique Pre-Waxing Oil with nourishing essential oils softens and prepares skin prior to ..
NEW improved formulaThis premium, creamy pink wax with Chamomile and Rose now has LYCON’s lat.. 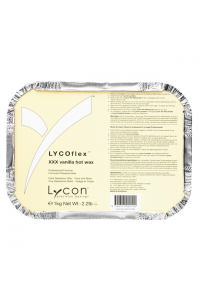 This premium, creamy pink wax is ultra calming for sensitive skins with Rose, Chamomile and LYCON&..
A chocolate treat without the calories! 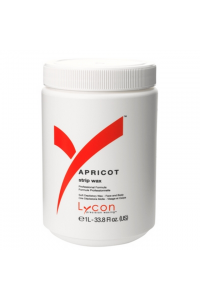 Super gentle with Iron Oxide and gentle Micro Mica. 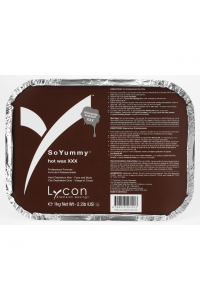 Ideal f..
A chocolate treat without the calories! 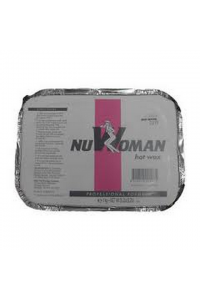 With Iron Oxide and Micro Mica, for extra gentle waxing and.. 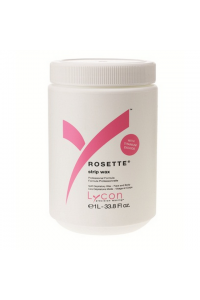 Vibrant pink, super creamy and flexible with a strawberry scent that smells good enough to eat! Con..
With its delicious strawberry scent and spectacular, sparkling Micro Mica, SoBerry Delicious strip.. 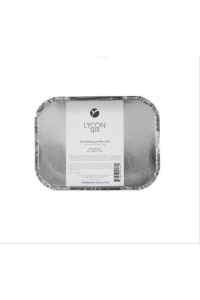 This luxurious cream, enriched with Shea Butter, Rose and Chamomile re-hydrates and soothes dry sk..
Lycon superior quality wooden spatula for all waxing needs. .. 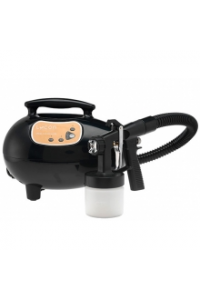 This compact spray tanning machine features a quiet electric turbine, with an in built heater, to ..
With Apricot, Sweet Almond, Tea-Tree and LavenderTea-Tree Perfect hygiencially removes sticky wax ..
With Tea-Tree, Rose and ChamomileA light, moisturising and soothing lotion for after hot and strip.. 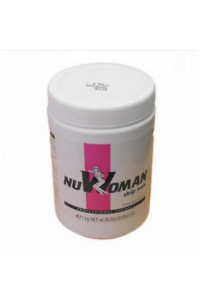 Economical, effective and easy to apply. 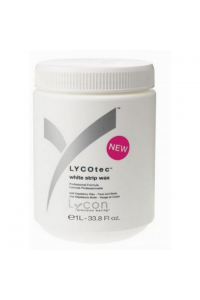 This strong and comfortable strip wax leaves skin smooth a..
LYCON Wax Solvent quickly and effortlessly dissolves all types of wax from linen, clothes, wax hea..